PGC is proud to support veterans in our community through the arts! The Veteran Scholarship Program at Pittsburgh Glass Center grants a limited number of full tuition scholarships to active and retired military personnel for our classes and workshops. Scholarships enable individuals to work in a challenging medium that will stretch them artistically and personally as they learn the fundamental principles of glass art and the creative process. 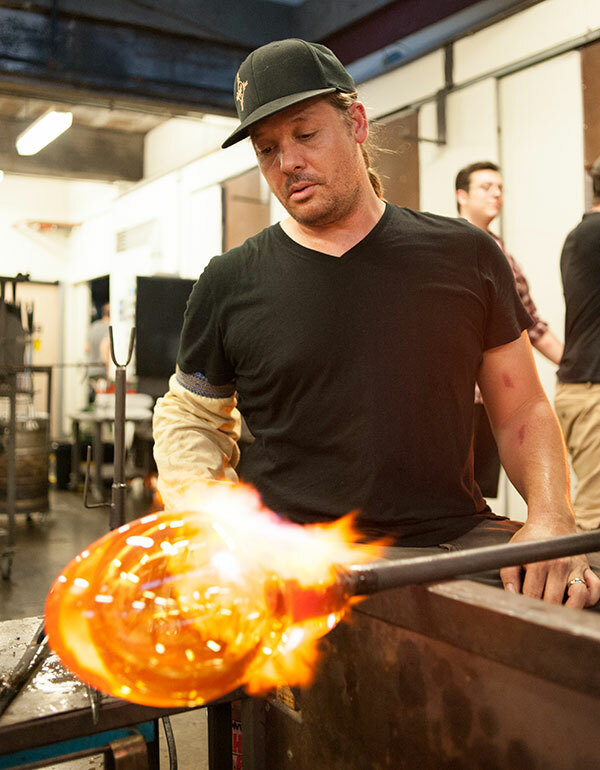 Offerings range from 2-hour workshops to multi-week classes in glassblowing, flameworking, and kilnforming for beginning and advanced students. Apply online, and be sure to check the box labeled "Please consider me for one of the scholarships reserved for veterans." The Veteran Scholarship Program is made possible in part by The Fine Foundation.